This device is used to connect a telephone line to your PC to record telephone conversations. 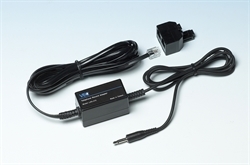 *Note: This adapter will not work with digital lines or PBX extensions. Digital lines and PBX extensions require a handset based connector. Connects directly to an analog (ie. PSTN/POTS) line. Designed for PC based Call Recording. Approved for use in the USA (FCC) and Canada.